Prof Mahendra P Lama (b 1961) is presently the Pro Vice Chancellor of Indira Gandhi National Open University (IGNOU), New Delhi which is the world’s largest educational institution in the arena of Open and Distance Learning. He was born in Darjeeling, the “Queen of the Hills” and grew up under the parentage of late Basantlata Lama and late RP Lama a widely known writer, social worker and an administrator. Prof Lama is the Founding Vice Chancellor of the newly established Central University of Sikkim in India created by an act of Parliament in 2007 and became the youngest Vice Chancellor of a National University in India. Sikkim University today is acclaimed as one of the best among the new set of central universities in India. He has been acclaimed for his vision, innovative management and designing of academic programmes and linking the local youth and human, natural and intellectual resources with national and global world. 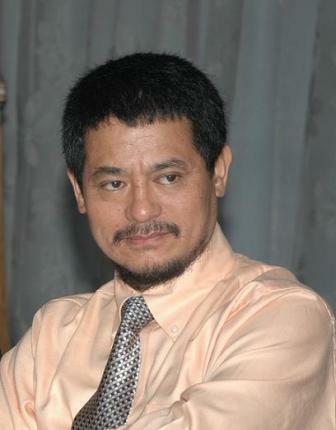 Prof Lama was till very recently a Member of the prestigious National Security Advisory Board of Government of India. A product of Scots Mission Primary School and Turnbull High School in Darjeeling, he was Professor of South Asian Economies in the School of International Studies, Jawaharlal Nehru University, New Delhi and also the Chairman of the Centre for South, Central, South East Asian and South West Pacific Studies in JNU. He was given the full Professorship by JNU at a relatively younger age of 39. He is presently nominated by the Government of India as a member of the Steering Committee of the coveted South Asian Forum set up by the Heads of the States and Governments in the 16th SAARC Summit in Thimphu in 2010. He also served as the Chief Economic Adviser in the Government of Sikkim with a Cabinet Minister Rank for seven years (2000-2007). He has been nominated by the President of India in the highest executive boards of various leading institutions of India including IGNOU, North East Hill University, NCERT and Hyderabad University. Central to his intellectual pursuits is development and cooperation in South and South East Asia. While teaching economic cooperation and integration in South Asia and India’s Foreign Economic Policy, he does extensive research with distinct policy slants. He was nominated by the Government of India in the Independent Expert Group set up by the South Asian Association for Regional Cooperation (SAARC) in 1997. Besides authoring and editing 22 books, he has extensively worked on the issues of human security, migration, refugees, trade, investment and energy cooperation in South Asia and issues of hills and mountains. He has closely worked with the top regional institutions in South Asia. His most recent work is a book entitled "Human Security in India: Discourse, Practices and Policy Implications" ( UPL, Dhaka, 2010). His works have been published in many refereed journals and also translated into a number of foreign languages including Japanese, French and German. He has been in various Indian delegations abroad including headed by the Prime Minister. He was Nehru-Fulbright Education Administrator’s Fellow in USA in 2011; India-China Fellow at the New School University in USA in 2008-2010; Visitor to the European Union, Brussels in 2002; and Ford Foundation Fellow at Notre Dame University in the USA in 1997. He was India’s representative in the Energy Cooperation Forum held in Indonesia and Thailand. He was also invited by the Malaysian Government in its prestigious Malaysia International Visitor Programme (MIVP) at Kuala Lumpur, Malaysia in 2007. He was also prestigious Asia Leadership Fellow in Japan in 2001; Visiting Professor in Hitotsubashi University, Tokyo 2004-2005 and Visiting Fellow in Calcutta University and headed Indian delegation of the Vice Chancellors to UK and China. He has been in the Editorial Board of a number of national and international journals. He regularly writes in prominent national dailies in India and South Asia including Hindu, Hindustan Times, Times of India, Telegraph, Statesman, Deccan Herald, Financial Express, Patriot, Tribune, Economic Times, DNA and Indian Express. He is also frequently interviewed by the top TV (over 86 Interviews) and radio channels including BBC, NDTV, Headlines Today, Aajtak, Star, Zee, Sahara, Doordarshan and CNN-IBN, All India Radio, Voice of America, Reuter and Christian Science Monitor. He was interviewed twice in the prestigious Aaj Savere Programme of Doordarshan. He was also the Founding CEO of the South Asia Foundation, New Delhi which has its branches all over South Asian countries. He authored First Plan of Darjeeling Gorkha Hill Council in 1989, First Sikkim Human Development Report in 2001; Nathu la Trade Report in 2005 and First Economic Survey of Sikkim in 2007. He is acknowledged as the architect of the reopening of the historic Nathu la trade route between Sikkim in India and Tibet Autonomous Region in China which was reopened after 44 years in 2006. He has been in various national committees including the one appointed by National Human Rights Commission; Ministry of Home Affairs; Ministry of External Affairs; Planning Commission; Ministry of Panchayati Raj; Ministry of Commerce and Ministry of Development of North East Region. He was a member of the National Sixth Schedule Committee and National Steering Committee for Vision Document for the North East Region which was released by the Prime Minister in 2008. He is one of the very few academics who has extensively travelled in almost all the borderlands of India and physically done the field surveys in all the 85 Tea Gardens of Darjeeling. He has been associated as a professional with the World Bank, Asian Development Bank, United Nations Development Programme, USAID, Australian Aid Agency, IDRC of Canada and ICIMOD in Kathmandu and many other international organisations. He was also assigned serious task of reviewing the entire functioning of SAARC by Asian Development Bank and SACEPS since its very inception. He also wrote 100 very popular column known as “Serophero” in Nepal’s widely circulated fortnightly Himal Khabar Patrika. He also wrote an exclusive column “Ghamko khojima” in Himalaya Darpan, a popular daily newspaper published from Siliguri. He has been associated with a number of national and international organisations including New Delhi’s prestigious India International Centre, University Grants Commission, Sahitya Academy, National Book Trust and Indian Council of World Affairs. He has delivered over 180 Special / Public Lectures in the institutions both in India and abroad including in premier global institutions like Yale University, Oxford University, Stanford University, Notre Dame University, New School University and National Defense College (NDC), to IFS/IAS probationers and a large number of Universities and other institutions. He has participated in over 260 Seminars /Conferences both in India and in 30 countries abroad. He has directed/supervised over 35 students for their M PHIL Dissertations and PH D Theses and his students today hold prestigious positions as professionals both in India and abroad. He has also been a member of the prestigious Interviews Board for the all India Civil Services Examinations conducted by the Union Public Service Commission and also at the state level in Public Service Commission of Sikkim. He is also a life member of a number of pioneering Nepali literary and cultural organizations in India. He has also served as the member of the Prime Minister’s Task Force on Hill and Mountain Development under the aegis of National Planning Commission. A strong votary of and relentless fighter for a separate State consisting of Darjeeling District and Dooars in West Bengal, he has received a large number of awards and public felicitations including the prestigious Father Schokaert Gold Medal in 1979 and Lifetime Achievement Award bestowed by St Joseph’s College in Darjeeling during its Centenary Celebration in 2007. In 2008, he was bestowed with “Ambassador for Peace” Award by United Peace Federation in the Global Peace Festival held in Ulaanbaatar, Mongolia for his substantive and sustained contributions to promotion of cross border cooperation and integration in South Asia. He has also been in the jury of Sahitya Akademy Award and National Fellows Selection Committee of the Ministry of Culture. He is married to Sabina and blessed with two daughters Kafal and Totola.